PIAS is a chapter of the National Audubon Society and a member of Audubon Pennsylvania serving northwestern Pennsylvania including Erie, Crawford and Warren counties. 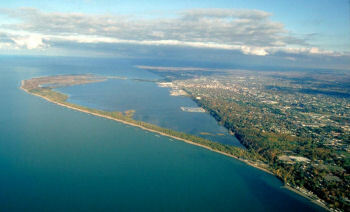 It is named after Presque Isle, a peninsula on the shores of Lake Erie near the city of Erie. 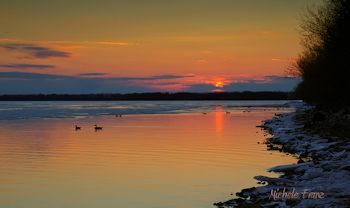 The Presque Isle Audubon Society provides educational and recreational activities throughout the year which are centered around the natural world and open to the public. PIAS holds meetings on the third Friday of the month in September, October, November, February, March, April, May and June. A wide variety of field trips are offered throughout the year. PIAS publishes a newsletter, Tern of Events, every month except in January and July. In addition to field trips and monthly programs, the Presque Isle Audubon Society is involved in other nature-related activities. PIAS conducts the Erie, PA Christmas Bird Count and hosts the "Festival of the Birds" in May. PIAS owns and maintains the 50-acre Laura Olsen Memorial Sanctuary in Crawford County, the 33-acre Fern Wood Sanctuary near Fairview, and is co-owner (with the Botanical Society of Western Pennsylvania) of the 89-acre Titus Bog Sanctuary in Erie County. PIAS maintains a collection of nature books at the Nash Library of Gannon University and was instrumental in establishing the Presque Isle Research Library at Presque Isle State Park. PIAS is a member of the Erie County Environmental Coalition. 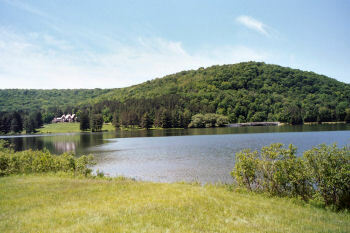 The Society is also a member of the annual Allegany Nature Pilgrimage held at Allegany State Park, NY in June. PIAS participates in the Pennsylvania Department of Transportation's Adopt-A-Highway program. The Society's Education Committee provides free subscriptions to Audubon Adventures to numerous classrooms and school libraries in northwest Pennsylvania. Executive Board Meetings are held the third Tuesday of every other month. Room 212, 301 Peninsula Drive, Erie. If you are interested in the history of the Presque Isle Audubon Society, you can use this finding aid as a guide to the content and organization of the Society's records. The finding aid also includes a brief history of PIAS. The Society's physical records, such as Executive Board minutes and newsletters, are housed in the PIAS office at the Tom Ridge Environmental Center.